Our range of products include hydraulic solenoid valve coil, industrial solenoid coil, solenoid coil and solenoid valve coil - parker make. With the help of our team of professionals, we are able to offer a quality range of Hydraulic Solenoid Valve Coil that is suitable for different voltages both in AC & DC. These easy to assemble coils offer optimum product flexibility and are also appreciated for their corrosion resistant attributes. We offer Industrial Solenoid Coil to our clients, which are designed paying utmost focus on quality and functioning to facilitate clients in the best possible manner. 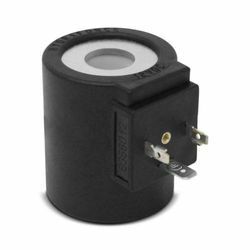 Solenoid Coil offered feature precision construction standards and find application in mechanical, general engineering and structural end usages. Here, we can offer these in different sizes and finish options. Further, these can also be delivered as per defined sample, drawing as well as finish specifications. Designed for continuous operations, the presence of epoxy material on surface offers protection against mechanical damages. Solenoid Valve Coils offered comprise quality finish range of solenoid valve coils which are suitable for both pneumatic as well as hydraulic based operations. 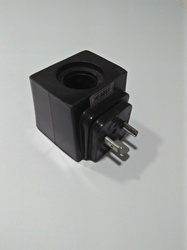 Further, these are also suitable for different AC and DC voltages and are easy to assemble coils. Further, these also offer optimum flexibility as well as for its corrosion resistant properties. We also ensure these are made available in specifications and dimensions as per emerging demands of the industry. 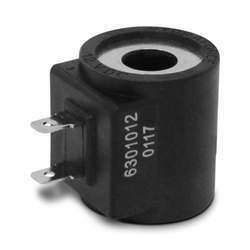 Looking for Solenoid Valve Coils ?